To learn more about the means they use to get money for the non-profit, I met Andrew Tweedie, Director of Development who together with James Lindquist, Associate Director of Development informed me about the many activities that Our House organizes to raise money in addition to having donations from their partners, corporations, foundations, organizations and individual donors. They host a big fundraising event each year where they auction different materials and through such events they get to meet people and talk to them about Our House and most of them end up being regular donors. They as well have a program called Dinner at My House for Our House through which donors get friends and family to contribute by buying tickets to attend the set dinners. I was as well interested in knowing how Our House gets so many people to volunteer to prepare meals for clients, answer phones, work in the garden and provide companionship to the residents, since the organization gets over 20,000 volunteer hours in a year. 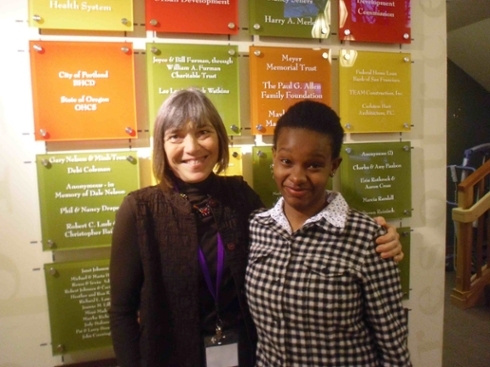 I met Kathryn Siebert, Director of Volunteers to learn more about volunteering and the experience was overwhelming. The number of volunteers is countless and most of them have being volunteering for more than ten years now! Kathryn marked out that excellent results from the organization attract more and more people to join them in helping the community. I was taken around the residents’ house for a tour and the smiles in their faces reflected the excellent work that volunteers and Our House staff does to ensure that the residents stay in a healthy environment. 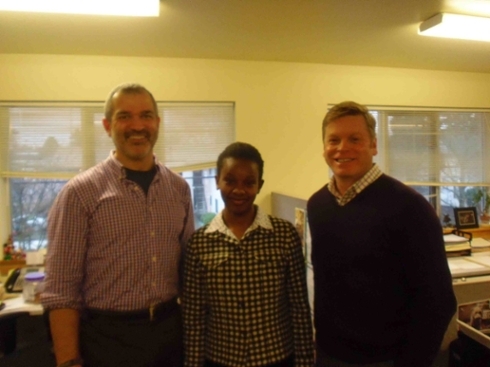 I was as well privileged to meet Wayne Miya, the Executive Direction of the organization. His passion and dedication to his work was worth noting and learning what being a leader means from him was one of my greatest experiences. The Executive Director makes decisions on issues which concern the general management of the organization as well as acting like the link between the public, state government and the organization. 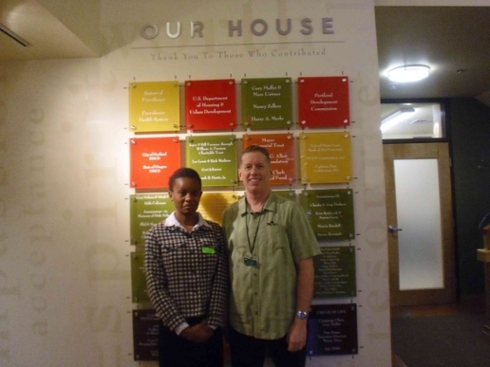 My whole experience at Our House, a non-profit ranked No.1 by Oregon Business Magazine`s survey, was educative since I got to learn all about the management of non-profits which is essential in my career as well as meet professionals and network.